Brushing your teeth is the cornerstone of your oral health care – but is there room for improvement? Use our guide to determine if you’ve fallen into these common brushing habit mistakes, so you can keep your smile healthy and bright. Not brushing long enough – The American Dental Association (ADA) recommends brushing your teeth for two full minutes at least twice daily. Studies show that most Americans fall short. To ensure you are brushing the full 2 minutes, try using an electric toothbrush with a built-in timer, a clock, or the stopwatch on your smartphone. There are even podcasts designed to act as both a timer and entertainment while you brush. Improper technique – Aim your brush toward your gums at a 45-degree angle when brushing the fronts and backs of your teeth, and don’t forget the chewing surfaces. Avoid using too much pressure when you brush, as this can cause wear that damages the enamel. Using an old brush – The ADA recommends replacing your toothbrush (or brush head, if that part is replaceable) every three to four months – sooner if the bristles begin to fray. A toothbrush kept in service too long will become less effective over time due to wear. Moreover, the bristles on an older toothbrush can harbor harmful bacteria. When to brush, or not brush – Whenever possible, it is best to brush after eating meals or snacks. When you can’t, rinse with water or chew sugarless gum to help remove food particles and neutralize acids. When eating or drinking sugary or acidic items, rinse your mouth and wait 30 minutes to ensure the sugars and acids are washed away by saliva before you brush. Ignoring your tongue – Use your toothbrush or a tongue cleaner to carefully clean your tongue each time you brush your teeth. This helps clear bacteria and prevent bad breath. Improper brushing habits can contribute to tooth decay, bad breath, and other oral health issues. Contact us for more information on home care or to schedule your next cleaning. This entry was posted in Dentistry and tagged 83605 Dentist, 83651 Dentist, Caldwell Dentist, Caldwell ID Dentist, Dentist 83651, Dentist in 83651, Dentist in Nampa, Dentist in Nampa ID, Dentist Near Me, Nampa Dentist, Nampa ID Dentist. Bookmark the permalink. 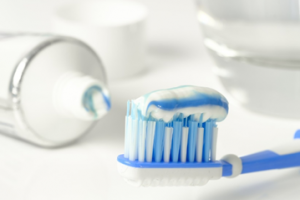 Dentist in Nampa | Are You Using the Right Mouthwash?